Wash black gram and add water to it & soak. Similarly wash rice well and add water & soak it. Soak dal & rice overnight or at least for 8 hours. Just one hour before grinding, soak oats in 1 1/4cups water. After one hour of soaking oats, remove water from soaked dal and soaked rice. Here I have used a wet grinder to grind the batter. To grind the batter even blender works fine. Add some water to the wet grinder bowl & switch on the machine. Add the soaked dal and add some water and grind. When the dal is crushed, add the soaked rice little by little. Add sufficient water to grind the mixture well but remember that we need to add oats which have been soaked in water. When dal and rice are ground to a smooth texture, add soaked oats little by little along with the water it has been soaked in. after adding oats grind the mixture for ten minutes. In between scrape the sides of the wet grinder bowl to clean the grinding mixture sticking. Add salt and mix and transfer the batter to a bowl. Place the bowl in a plate so that after fermentation if the batter spills over it would fall into the plate. Ferment the batter for 8 hours. Unlike normal dosa batter, this batter would not get doubled in size. After 8 hours make dosas or keep the batter bowl in refrigerator as batter may get spoiled due to oats. After 8 hours of fermenting the batter, take a ladle and mix it well. if the batter is too thick, add some water, little by little and mix well to get spreadable consistency batter. Heat a flat griddle and add few drops of oil. Crumple a paper napkin and spread the oil with it on the flat griddle. Lower the flame. Take a ladleful of batter and pour it in the centre of the griddle. With the back of the ladle spread the batter in circular motion to spread evenly on the griddle. Then increase the flame and add oil. take a flat ladle and spread the oil evenly to all parts of the dosa by rubbing it on the dosa gently. Fry the dosa till crisp. When the underside of the dosa is fried well, observe some light brown spots on the top of the dosa. Then with the help of the flat ladle remove the dosa from the griddle and fold it ( as per preferences as shown in the movie clip) and serve hot with ginger chutney or idli podi with some ghee. To the thick batter add some chopped onions, chopped tomatoes, ginger-green chili paste, chopped coriander leaves and some crushed black peppers and mix well. Heat the griddle and add some oil. Take a ladle full of this prepared batter and spread thickly on the griddle. Cover it and cook on low flame till the bottom side has changed to golden color. Then flip the utappam and fry uncovered till crisp. Serve the hot utappam with any chutney or powder of your choice. Soak black gram and rice for minimum 8 hours to get better quality of batter. Do not soak oats when dal and rice are soaked---they would be spoiled after 8 hours. Soak oats only one hour before you start grinding the batter. 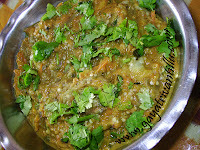 Use the water measurements given in the ingredient list and grind the dal and rice so that the batter would not turn runny---as we would be adding soaked oats while grinding use less water to grind dal and rice. Remember---oats would not be ground to a smooth texture, however they would be soft as they have soaked well for one hour. Observe that the batter has some texture because of oats, but remember to grind the dal and rice to a smooth texture. Ferment the batter for 8 hours only or else the batter would get spoiled because of oats. 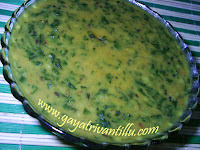 After 8 hours of fermentation keep the batter bowl in refrigerator till use and make dosas as and when required. Before making dosas check the consistency of batter and add water. Add water little by little so that there would be some control. Take half of the thick batter and start adding water to the remaining half so that if, by any chance, more water is added, damage can be rectified. Heat the griddle properly before making dosas. Use a crumpled paper napkin or a cut onion to smear the oil while seasoning the griddle. After adding batter on the griddle spread it evenly---do this process a bit faster or else the batter forms a lump and sticks to the ladle and makes a mess. While making dosas oil should be added properly to fry the dosa or else one would not get crispy dosas---add approximately 3 teaspoons of oil for each dosa. 4. After dosa is fried, slit it from the centre with the flat ladle and roll it so that it forms a cone. Lift this cone and make it stand in the serving plate and serve. Serve the crispy dosa with ginger chutney or idli podi or karapodi or with potato curry or with any favorite chutneys or powders. When a new iron griddle is brought to make dosas, it needs to be seasoned well before use. Add some rice bran to water and mix well and dip and soak this iron griddle in it overnight. If rice bran is not available, use water collected after washing rice (BIYYAPU KADUGU NEELLU). The rice bran water removes the rust on iron utensils. Then apply oil to the griddle and heat it thoroughly. Cool and keep it covered for next use---do not wash it with water, soap or detergent. Generally we observe that while making dosas, the batter sticks to the griddle and without scraping it would be difficult to remove it. This happens if the griddle is washed well with soap or detergent as the griddle loses it seasoning quality. After making two or three dosas and frying in oil and scraping to remove them from the griddle---then the griddle gets seasoned and from then on we get perfect dosas. We get perfect dosas if the griddle is well seasoned and has a film of oil coating on it. When washed with soap or detergent the oil coating goes away and it becomes difficult to get perfect dosas---instead we get irregularly shaped dosa pieces. To maintain the seasoning of the griddle, never wash it with soap or detergent. Here let us learn to keep the griddle clean even without washing it so that it the seasoning quality of the griddle is retained. After making dosas, rub the griddle with paper napkin to remove excess oil. Now cool the griddle. Sprinkle some rice flour or any flour evenly on the griddle. Wipe the griddle by rubbing with a paper napkin. The flour absorbs excess oil and the paper napkin works as a scrubber. Like this excess oil comes out easily with the flour. Once the job is done well shake off the flour and wipe it clean with a cloth. Rub your finger and observe there is no trace of oil on the griddle. But a thin film of oil coating remains on the griddle which helps in getting perfect dosas when used next time. As we have not washed the griddle the oil film is retained on the griddle. 1. After making dosas, wipe the griddle well with the paper napkin while the griddle is still hot. 3. Sprinkle some rice flour or any flour evenly on the griddle and rub with a paper napkin to remove all excess oil. 4. Wipe with a dry cloth to remove the flour. 5. Place the griddle in a plastic cover and cover it fully so that dust would not settle on it. 6. When thinking of making dosas, just remove the griddle from the cover and heat it and one would get good crispy dosas right from the first one. Mee vantillu site chaala detailed ga undi. chivarlo precautions kooda chaala thoughtful ga include chesaru. Meeru teaching lo kooda raanistaru. Personal ga experience chesi vrastunnatlu telustondi, instead of just copy pasting. Kudos to ur Hard work. Neenu Vizag Steel Plant lo chestunnanu. Maa Avida pedda inguva fan. ( hence detests garlic!) Mee recipies thanaki Baga nachhutai. Aithe, thanani nenu ariselu, poornam boorelu, bobbatlu mee site lo choosi cheyyamannanu, becoz, I love telugu tradtional sweets. Unfortunately, we dont find them here. Any plans to include Madam! ?